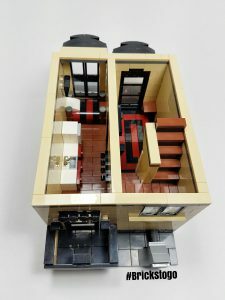 My first Lego modular building was a lot of fun to build, but there was also a tremendous learning curve for many reasons. For starters, I designed the building using LDD (Lego Digital Designer) and found that the program was difficult to get used to. Although I had an unlimited amount of pieces to work with, I found that actually building with digital pieces was not as easy as the physical ones. Attaching one brick to another was easy enough, but using the tilt tool to angle certain parts of the build like the railing out front, and the roof proved to be more difficult. Then there was the daunting task of ordering the pieces from the Pick-a-Brick website and Bricklink. LDD has an amazing feature that gives you a list of all the parts needed to build your design, which you can use to order your missing parts before you start building. Seems easy enough right? Wrong. When you have a build with hundreds, if not thousands of pieces to order, it starts taking a chunk of time out of your day (not to mention the cost!). But it’s all worth it because I love building custom Lego modular buildings like this one! All in all I really enjoyed the process of designing, building, and learning techniques for further modular builds. 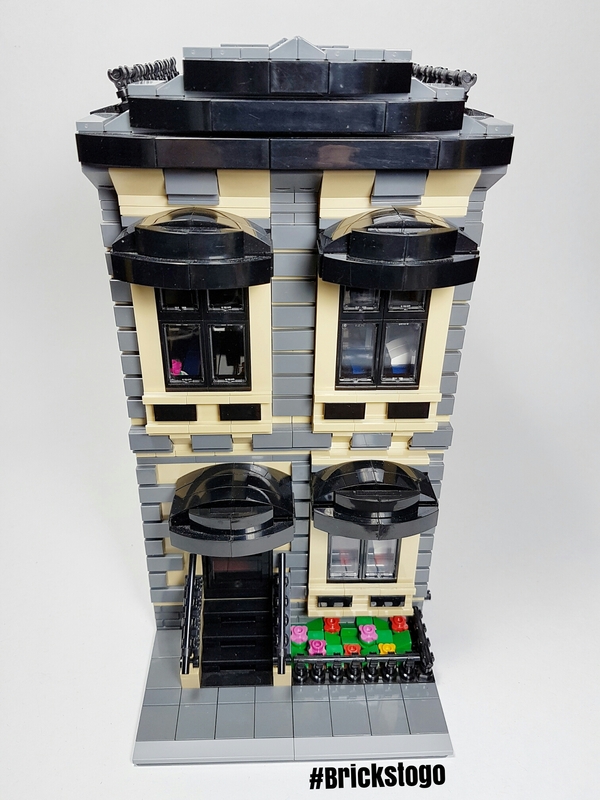 I think the modular standard is an amazing idea for creating cities that can incorporate both official Lego sets, and your very own creations. I’m looking forward to building more and creating my own Lego city!